Submitted by Jeff Buster on Mon, 12/17/2012 - 16:36. Submitted by Jeff Buster on Sun, 12/16/2012 - 10:43. Find request for video's on route of Cleveland City police chase and killing of 2 persons here. MOre Guns are NEEDED! In malls, in elementary school, in the State of Ohio parking gargage! 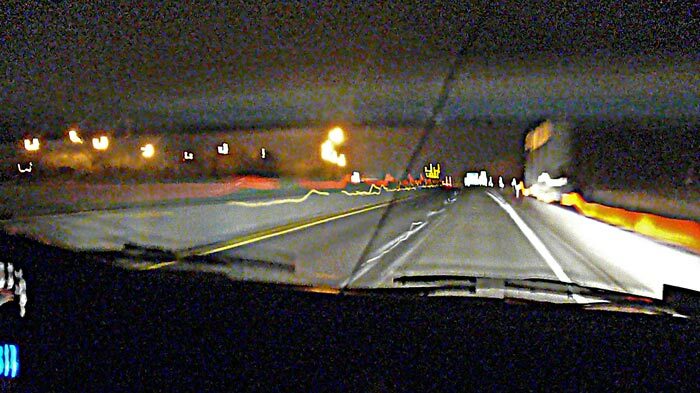 Submitted by Jeff Buster on Fri, 12/14/2012 - 19:32. Homeland security do you read me? People are getting hurt - no, I just heard, actually made dead IN cONN. So surely more guns is the resolution TO A FEW GUNS. PS - my kid wants a gun. A Lugar. has it picked out. We need to be like Syria! Submitted by Jeff Buster on Sat, 12/08/2012 - 20:05. 2. Doesn't believe in abortion. 3. Thinks healthcare should be earned (even if you can't get a job). 4. Believes everyone should be able to carry a weapon (even if they haven't been trained). 5. Believes gay inclinations indicate disease or worse. Submitted by Jeff Buster on Fri, 12/07/2012 - 13:46. The Clark Freeway was stopped from going through the Buckeye-Kinsman-Shaker Lakes 40+ years ago - but the fair minded folks at University Circle and the Cleveland Clinic have the desire to spend 350 million of taxpayer money to impose the western half of the Clark Freeway through the Disadvantaged Triangle. Submitted by Jeff Buster on Fri, 12/07/2012 - 13:27. The country has a great opportunity - to reduce military spending, to reduce the country's budged deficit, and to bring greater economic equality across our citizenry - and our legislators don't need to do a thing. But it isn't something we are going to fall over effortlessly - it is a cliff we need to climb up. Submitted by Jeff Buster on Fri, 12/07/2012 - 11:56. If you are of a mind to delete your blog, or delete your content which has comments below it - there is an option which administration has that the user doesn't have. That option is to "unpublish" the content. Submitted by Jeff Buster on Sun, 12/02/2012 - 23:27. In the recent presidential election, your Ohio citizen vote was coveted. You, a human in America, were important. Submitted by Jeff Buster on Sun, 12/02/2012 - 22:16. This is how NEO should be run - zero tolerance - just like with the cops on the streets of Cleveland and East Cleveland. Shoot to kill. Kill first. Kill right now. 137 shots, in an event starting at the Cleveland Justice Center, leading to all 13 sickos now out on paid leave. Submitted by Jeff Buster on Wed, 11/28/2012 - 12:15. 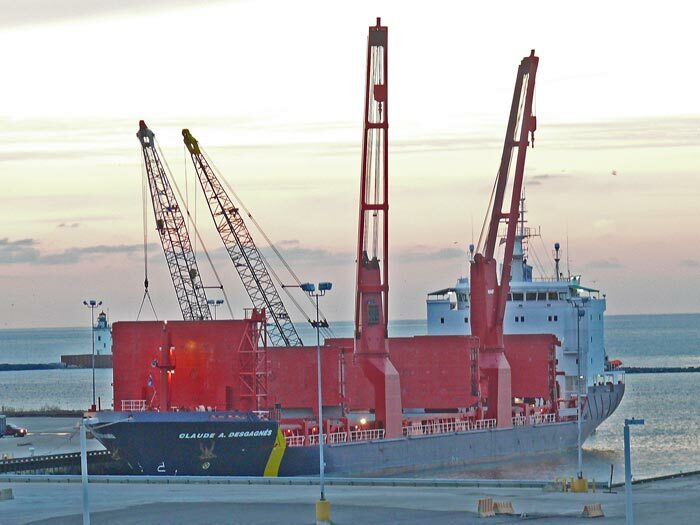 Why did the Claude A. Desgagnes dock on it's starboard side when it's self-unloading cranes are on it's port side? Submitted by Jeff Buster on Wed, 11/28/2012 - 11:30. 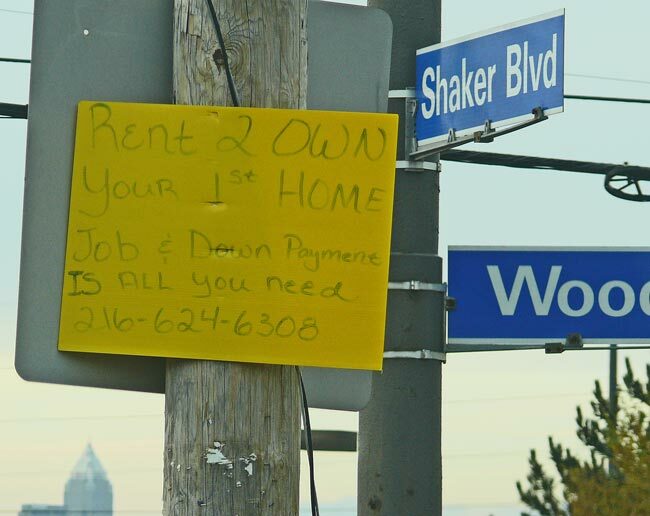 Drive around the inner city of Cleveland, Ohio, and you will see guerilla signs - like the RENT TO OWN YOUR FIRST HOME sign in the image above - nailed up to telephone poles at busy intersections. IN terms of media "impressions" the sign competes pretty well with the "legitimate" Clear Channel Communications billboards in these same neighborhoods. How many tools are necessary to R&R a faucet washer? Art is where YOU find it! Submitted by Jeff Buster on Mon, 11/26/2012 - 21:19. 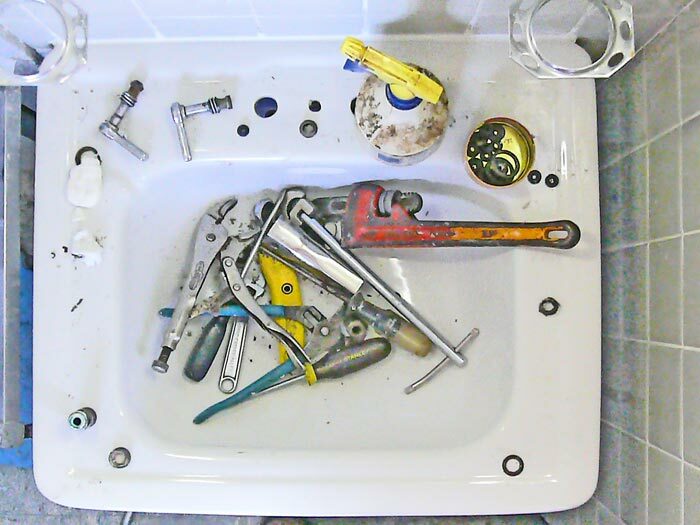 All these steel tools in a porcelain china sink isn't very smart - could break it - but it's convenient. Getting the faucets off the sink was an upside down task. 'bout lost my temper! Submitted by Jeff Buster on Mon, 11/26/2012 - 19:50. The image is of the same bill board that had a Voter Fraud face on it a month ago - Clear Channel bill board number 011215. Cheap advertizing in this inner city, Cleveland, Ohio neighborhood. More run-off, More flooding, More siltation, More taxes wasted - YES TO Community soil Sterilization! Submitted by Jeff Buster on Mon, 11/26/2012 - 13:06. 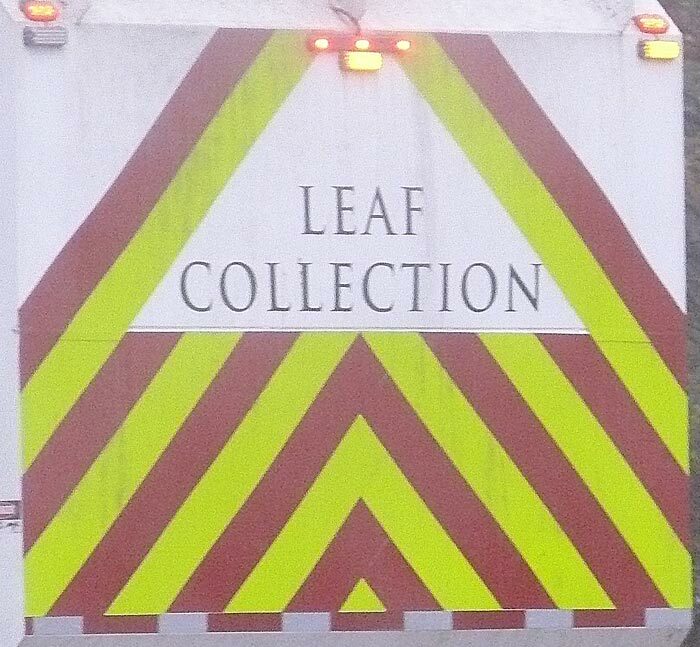 Everywhere you see them: LEAF MEN ATTACKING THE ENEMY! In your neighbor's back yard - attacking the leaves in the ivy with screaming back pack air guns. GET THOSE LEAVES! Google search downgrades for "SCRAPING" - plz read Google's search optimization guidelines. Submitted by Jeff Buster on Thu, 11/15/2012 - 16:26. Every page posted to Realneo is searchable by Google, MS Bing, yahoo, just a few of the many seach engines (see wikipedia list of search engines here). Submitted by Jeff Buster on Thu, 11/15/2012 - 12:36. 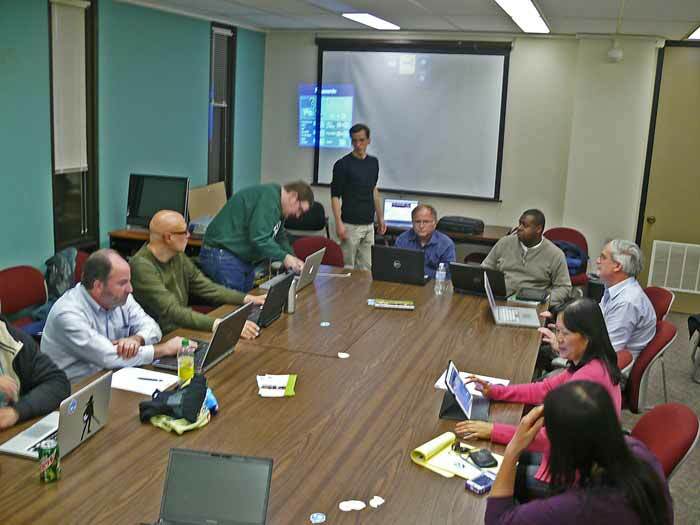 Back in 2004 Norm Roulet rolled out Realneo at Case's REI Tuesdays. At the time Case was struggling trying to communicate on the web with wikis - wikis were awkward and difficult to use and inspired Norm to introduce Realneo at REI as a content managment system. That's when I first became a Realneo User. Submitted by Jeff Buster on Sat, 11/10/2012 - 22:45. I won't finish this post tonight - too tired, too much Jim Blum. Jim is playing music focused on Veteran's day. But I have to say, the war in Vietnam ruined the lives of my good friends Bill and Rich, and the Iraq war totally destroyed Victor. They all came home. In their body only. Submitted by Jeff Buster on Sat, 11/10/2012 - 20:30.
Who are the wisest voters? Who saw through to the best representative for America? Who was not taken in by Karl Rove? What was/is Quid Pro Quo in Port Issue 108 "$ for Franklin Hill" - all land owned by CMHD? Submitted by Jeff Buster on Fri, 11/09/2012 - 20:07. Submitted by Jeff Buster on Fri, 11/09/2012 - 18:32. 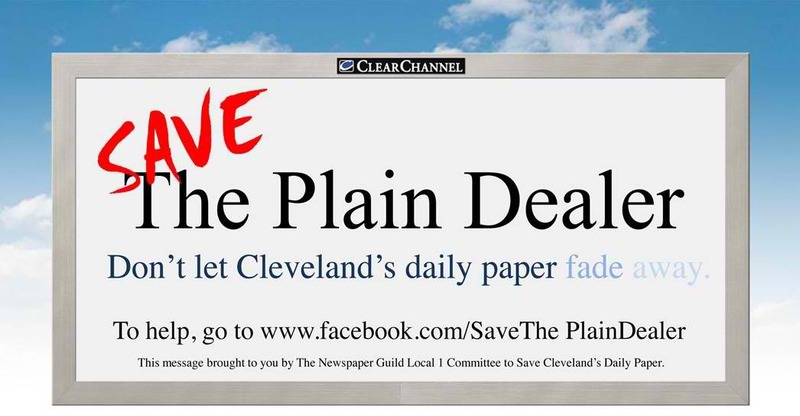 Advance Publications, which owns the Plain Dealer, isn't making enough money in Cleveland. Last summer, several other papers operated by Advance layed off staff and cut the weekly publication days to three. 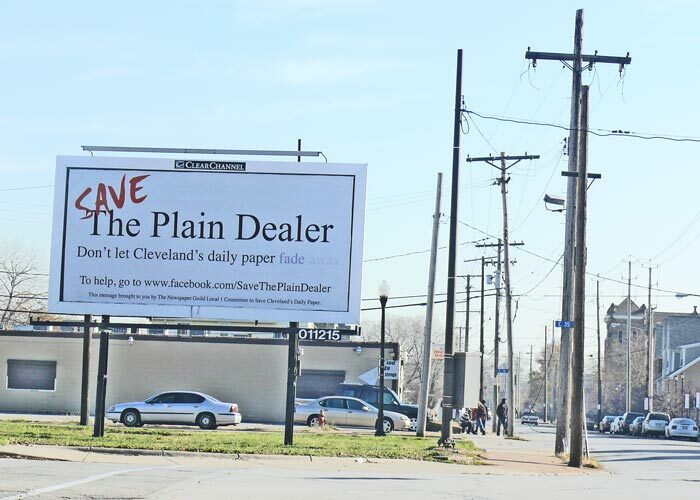 The Dirty Dealer's employees are about to start an advertizing campaign in which they will plead to the public in NEO - to not let the Dirty Dealer "fade". Submitted by Jeff Buster on Tue, 11/06/2012 - 10:30. Another civic visual which graphs spoiled ballots and race in Cuyahoga County in the 2004 presidential election. The spoilage is purportedly related to machine ballot counting failures/defects/sabotage. You can find the study here on Wikipedia. Submitted by Jeff Buster on Tue, 11/06/2012 - 09:45. The Scene accurately describes the miasma which is the Cleveland-Cuyahoga County Port Authority. The silly park on a sliding hill, the mud sucking from the snaky river bottom, the eye candy "bridge". But all these issues are red herrings. 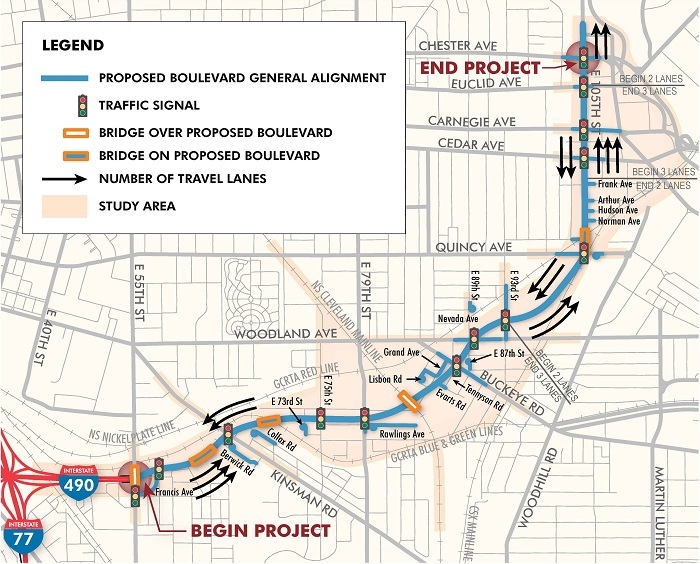 These "projects" are the "visuals" which the corrupt Port Authority wants the public to focus on - easy to understand - and vote up the new tax.